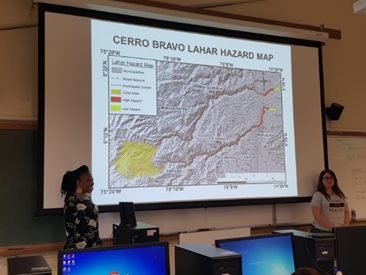 Dr Wantim Mabel, the Project manager of the Periperi U project based at the University of Buea, Cameroon, recently concluded her Volcano Monitoring Training Course at the Centre for the Study of Active Volcanoes (CSAV), University of Hilo. Hawaii, which ran between 27 May to 21 July 2018. For this year, a total of 14 participants (6 males and 8 females) were involved, all coming from developing countries. Her training began at the Centre for the Study of Active Volcanoes in Hilo, Hawaii, which opportunity would have it coincided with the latest eruption at Mount Kilauea on the islands shortly before her arrival. 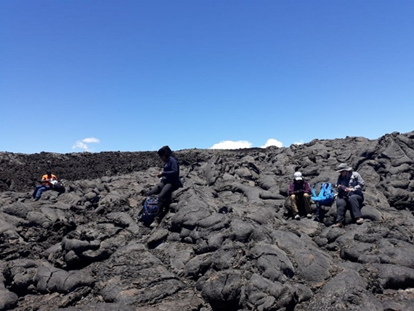 Due to the eruption, most of the study sites to be visited were cancelled since they were within the restricted zone demarcated by the United States Geological Survey (USGS) and the Hawaiian Volcano Observatory (HVO). Despite losing the ability to visit some study sites because of the eruptions, Dr Mabel and her colleagues were given a unique opportunity to observe and study the eruptions at Mount Kilauea, but also observe the emergency responses undertaken by authorities and how the crisis was being managed all in real time. Due to evacuations of the observation stations around Mount Kilauea, scientists of the United States Geological Survey and the Hawaiian Volcano Observatory who are involved in monitoring activities for this volcano were stationed at the Geology Department of the University of Hilo, where Dr Mabel’s training took place. 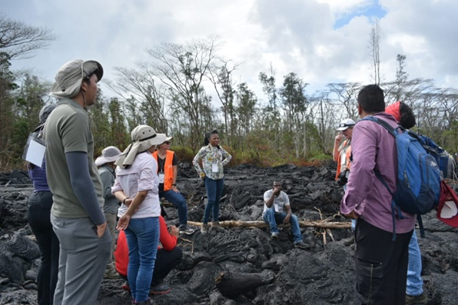 The course participants sat in on weekly USGS/HVO meetings which provided updates on the present eruption and risk reduction and disaster management activities. She states that the major lesson learnt during these meetings was the orderly manner in which the eruption was being monitored/handled with each individual tasked with responsibilities in their sector of interest and how measures were being implemented at all levels to make sure the exposed population were evacuated timeously and efficiently. 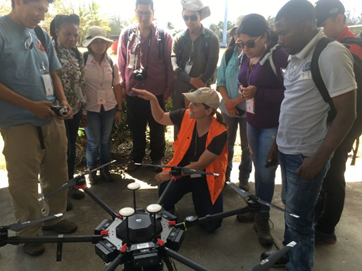 The course also included a number of classes on different aspects of monitoring and managing volcanic hazards which included conducting assessment techniques to measure lava flow eruption rates, volcanic ash and volcanic gas, as well as the use of drones in real time to monitor present eruption parameters. 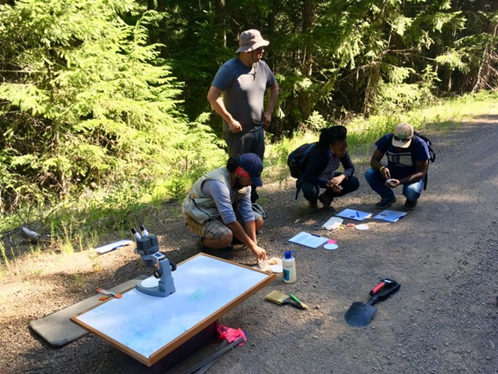 The second phase of the course which took place in Vancouver, Washington (close to the border of Portland, Oregon), was carried out at the Cascades Volcano Observatory principally taught by staff of the Volcano Disaster Assistance Programme (VDAP-USGS. This section included an experimental course that dealt with different volcano types and their resultant hazards; gas measurements/observations using instruments and apps on phones from active fumaroles and also ashfall modelling; technical fieldwork aspects which included testing batteries and solar panels before field installations. 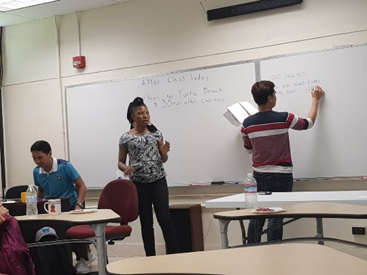 Field excursions included a visit to the Clark Regional Emergency Service where participants learnt the different measures that have been put in place to address different risks in the United States. 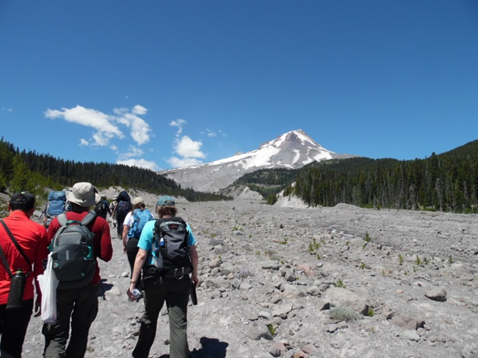 Other site visits included included trips to Mount Hood and Mount Saint Helens to study of different pyroclastic deposits and lahar flows. 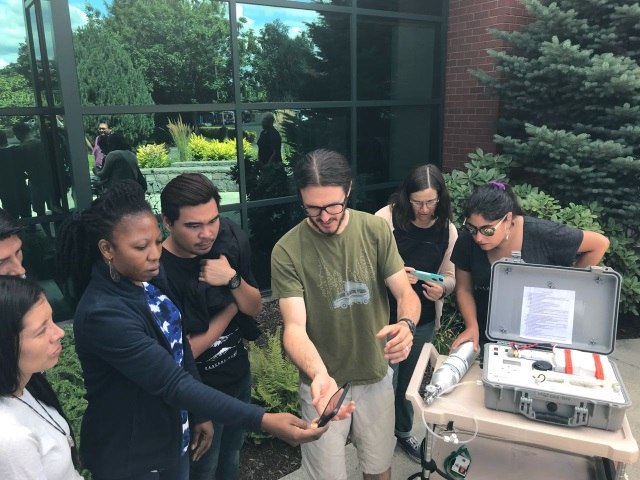 In Dr Mabel’s opinion, though this training was considered an introductory course of most of the volcano monitoring techniques used by the USGS, this experience greatly increased her knowledge and expertise on volcano monitoring techniques and physical volcanology in both theory and practice. As a result of the skills and knowledge attained through this course, she intends to produce lahar hazard map for Mount Cameroon volcano using the LAHARZ model. She also seeks to assist in bolstering volcano research, monitoring and emergency planning in Africa, developing both the inventory of the relevant techniques and equipment needed to monitor activities from Mount Cameroon and other African volcanoes and the human capacity needed to sustain it. 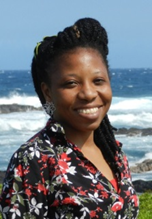 In particular she aims pass on what she has learned and experienced to students in the newly developed Disaster Risk Management Masters programmes at University of Buea, Cameroon. For this year, a total of 14 participants (6 males and 8 females) were involved, all coming from developing countries; Ten out of the 14 participants came from South America (Guatemala: Carla, Nicaragua: Evelin, Colombia: Beatriz & Lilly, Peru: Yanet & John, Chile: Claudia & Lizette; and Ecuador: Marco and Pedro), 2 from the Philippines (Ryan & Dave) and 2 from Africa (Democratic Republic of Congo (Jeanpy) and Cameroon (Mabel)).